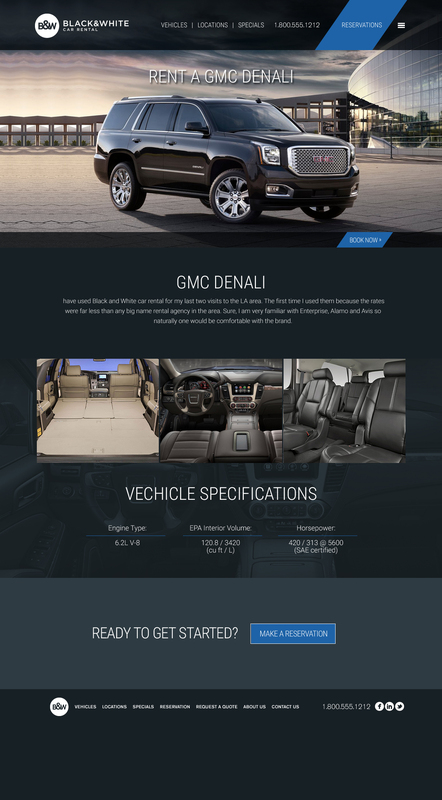 Founded in 1994 Black and White Car Rental offers the absolute complete solution for car rental needs in Los Angeles California. The popular independently owned car rental location in Beverly Hills has now expanded its operations to the LAX Los Angeles International Airport, Hollywood, and West LA. Carrying one of the most dynamic and diverse fleet of rental cars on the planet, Black and White Car Rental has used its experience in transportation to reach the needs of just about any customer. 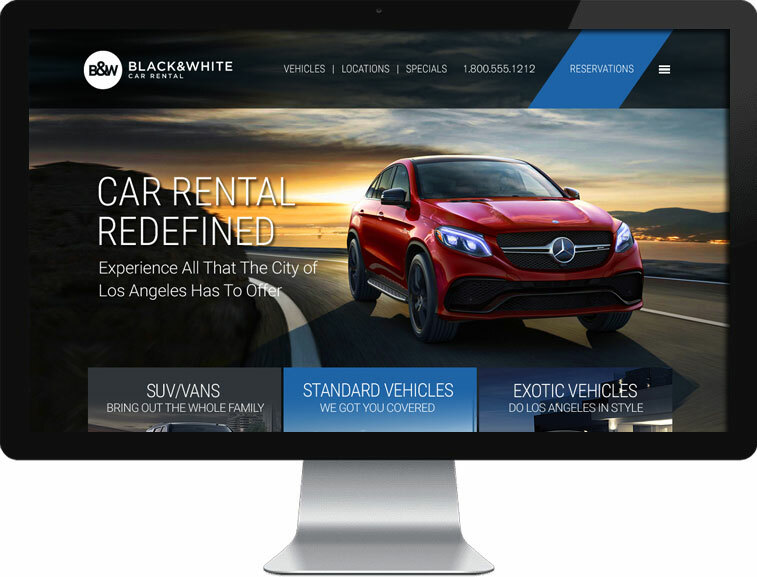 www.bwrentacar.com – Arami Design assisted with the architecture, design, and custom WordPress development for Black & White Rental Car’s website.